There is a side of Italy begging to be explored by bike and boat. There is a side of Italy begging to be explored by bike and boat. Here, fishermen haul in their catch in the shadow of Venice … the Po River Delta harbors an untouched wilderness … Renaissance-era cities hide cultural jewels, from Grana Padano cheese and a carousel museum to grand ducal palaces. 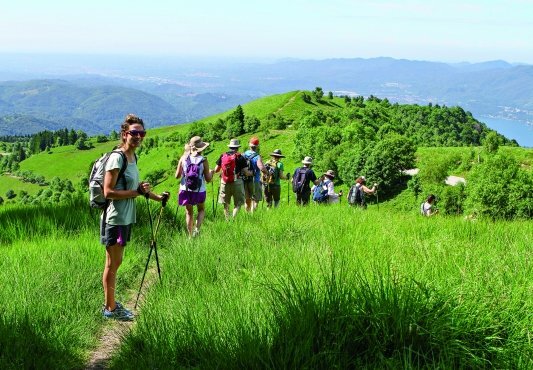 Uncover it all at an easy pace from a luxury boat as you cruise from Venice into its spectacular lagoon and up Po River tributaries to historic Mantua, going ashore to cycle dreamy Italian landscapes you never knew existed. 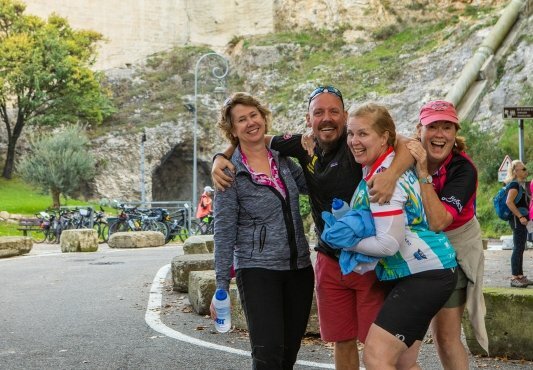 This tour offers easy terrain on bike paths and roads through rural areas and on two Venice islands with little car traffic. Our VBT support shuttle is available every day at designated waypoints for those who need assistance. Arrive at the airport in Venice, Italy. Once in the arrival terminal you will be met by a VBT representative holding a VBT sign. He or she will be located just outside of customs and will assist you with your transfer by water taxi to the hotel. From the airport pier, you’ll transfer (approximately 35 minutes) with our transfer company, Venezia Taxi, to your centrally located hotel in Venice. The rest of the day is free to discover and dine on your own with the VBT City Information as your guide. If you are going to be delayed for more than 15 minutes at the Lost & Found desk due to delayed or lost luggage, please let our transfer company know by calling +39 328 23 89 661 (at a fee). You may also contact our One Call travel assistance to advise of your delay, and they will contact our transfer service. VBT Air Package and Pre-Trip Extension guests: After breakfast, enjoy free time to discover Venice on your own. Check out time is 11:00 a.m., but you can store your luggage at the front desk. At 3:30 p.m., be ready at your hotel to be transported by water taxi to the boat, moored on Giudecca Island. Our Tour Leaders will meet you in the hotel lobby and will be wearing VBT staff garments. The boat can be boarded starting from 4:00 p.m. At the docks, meet the boat crew and settle in. Later, gather with your fellow travelers for a welcome cocktail and an overview of the exciting week ahead, followed by a welcome dinner on the boat. Please note regarding WiFi onboard the boat: Internet access is available during the day only in the common areas, not in the rooms, and is quite stable. If stable internet access is critical to you during the night, VBT recommends that you purchase your own bundle before traveling overseas. Please note regarding Ride with GPS: Due to the limited WiFi onboard, VBT also recommends that you download your free VBT Maps & Routes Notes from a WiFi zone prior to arrival on the boat or leaving home, if you wish to use Ride with GPS on your smartphones. During your vacation, you will be able to follow these route notes on your smartphone with turn-by-turn voice navigation as you ride. 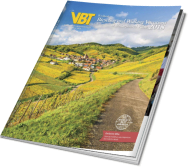 This option is offered in addition to VBT’s traditional printed maps and route notes that will be distributed on tour. Awake in romantic Venice and enjoy a hearty breakfast aboard your boat and home for the week. Then move to the upper sun deck to marvel at the stunning views of St. Mark Square and a parade of monuments as you cruise to the Cavallino Peninsula. The crew will point out the islands as we pass by. Disembark at Punta Sabbioni, where a safety clinic precedes a warm-up ride with your Trip Leaders. 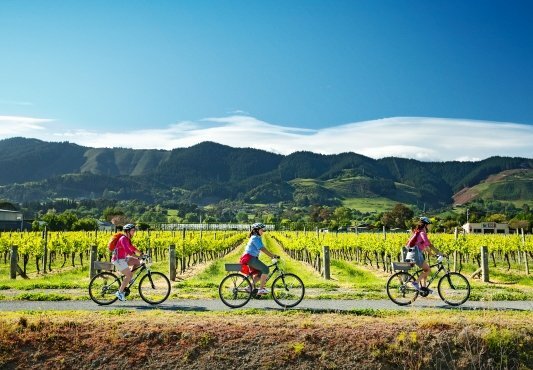 On today’s relaxed route, cycle along flat and quiet paved trails, passing vast scenic salt marshes and vegetable gardens carefully tended by local Venetians. You will also see the ancient hamlet of Lio Piccolo, home to many species of birds and dominated by the 18th-century Palazzo Baldu; its chapel and elementary school were left behind by the noble family that once owned the island. After lunch on board, we weigh anchor and return to Venice to moor overnight. We stop for an interesting visit on Murano island: glass-blowing is a century-old art that was imported in Venice from the Far East, but that here has been developed and refined to the point that Murano’s glassmakers led Europe for centuries. In the factory you can learn about some of the techniques and see artisans crafting some samples for you. 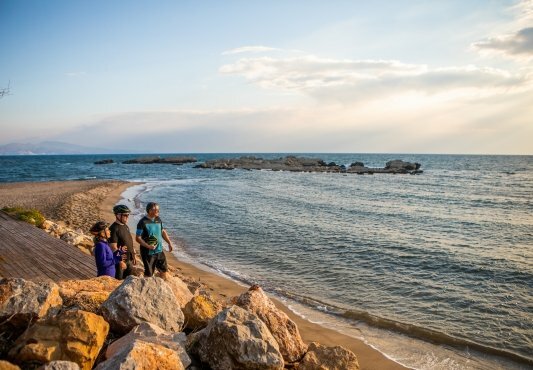 Later you can remain on the island and continue exploring for the rest of the afternoon and evening, maybe stopping at the Glass Museum in Palazzo Giustinian to see ancient samples of glass dating from the Egyptian times, and returning on your own to the boat, or cruise back on your boat. Dinner is on board tonight. The chef is preparing the evening’s specialty with a specially chosen wine, the perfect way to share stories from your first full day of riding. After breakfast, we cast off to the island of Lido, crossing the old harbor of Malamocco en route. You ride today on the two narrow islands that separate the lagoon from the Adriatic Sea, Lido and Pellestrina. Disembark in Lido and spend a while pedaling among the glamorous streets that straddle this barrier sandbar. Belle Epoque hotels mark your progress in this well-heeled world that hosts celebrities and other elites each year for the Venice Film Festival. Later, board a ferry with your bike and breathe the salt air as you cross over to Pellestrina, where the atmosphere is decidedly more old-world. On this quiet, low-lying island, fishermen and gardeners live a peaceful existence as the Venice skyline floats on the horizon. You will ride into one village after another with sea views at either side, passing vineyards and the colorful houses for which the island is known and perhaps seeing women busy with their lacework; bobbin lace is a typical artform here, created by weaving cotton threads unrolled from a spool onto a round cushion called a tombolo. For lunch on your own, you might stop by one of Pellestrina’s taverns to sample chicheti, Venetian small plates prepared with fresh fish from the lagoon. Delicacies include schie, or shrimp, eel, cuttlefish, mantis shrimp, and scallop, with vegetables plucked right from one of the gardens you may have passed earlier. After, maybe continue to the southern point of Pellestrina and Ca’Roman, a stunning nature reserve of dunes and unspoiled beach. Our boat awaits not far from here and you have time to go for a swim. Later in the evening, embark for a crossing to Chioggia. The island town of Chioggia, also known as “Little Venice,” is a charming and often overlooked village, linked to the mainland by a causeway, a true Italian gem. Stroll past the picturesque San Domenico and Lombardo canals, following a maze of narrow calli, or alleyways, and bridges. Medieval churches and buildings transport you back in time here: The Chioggia Cathedral dates to the 1620s and the church of St. Andrew boasts a bell tower constructed in the 11th and 12th centuries, the oldest campanile in the world. Accompany its caretaker, Luciano, to the top of this former lighthouse for magnificent views of the island and the surrounding waters. Peep through the imposing stone-sculpted Prisca gate, the door to the fish market, one of Chioggia’s most important and ancient institutions. The multicolored stalls of fishmongers are closed and empty in the evening, but you can still catch the atmosphere of the place. Tonight, pick a restaurant or a simple local osteria, to enjoy a fish dinner or maybe a local pizza, for your dinner on own. Chioggia is very lively and offers a plethora of good cafes and restaurants both on main street and on the side narrow vaulted alleyways. 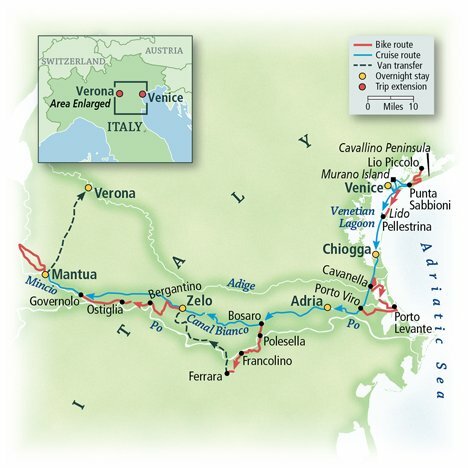 This morning, depart early to leave the Venice lagoon and cruise on side canals to our cycling starting point. You will enjoy breakfast and a route review during navigation. 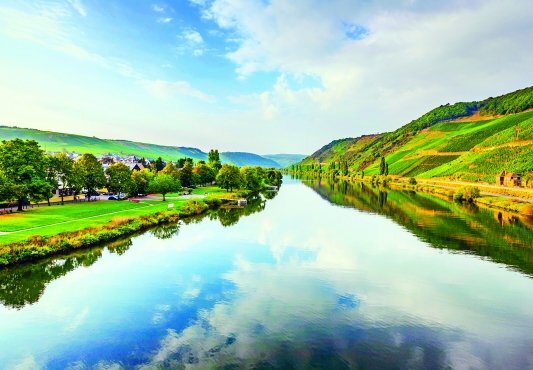 Our ride today crosses the Adige river, the second longest Italian river, and follows hushed country roads into the tranquil Po River Delta nature reserve, a spectacular expanse of wilderness rich in flora and birdlife. Here, at the mouth of Italy’s longest river, fishermen’s stalls dot a bucolic landscape of vast lagoons, brackish pools, and peaceful wetlands. You pause here at a scenic spot for a picnic lunch, before meeting your boat in Porto Viro. Later this afternoon, you cruise to our next mooring site in Adria. This gateway to the Po River Plain was important to ancient Greeks and Etruscans and gave the Adriatic Sea its name. 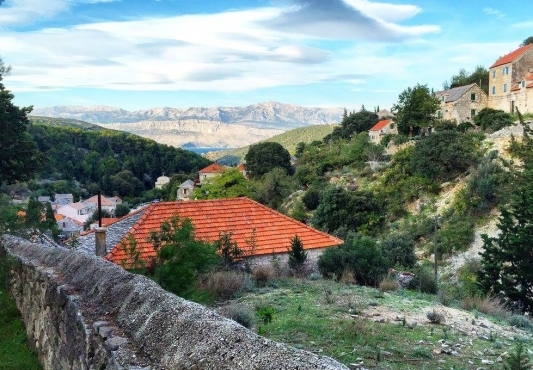 There’ll be time for a stroll through its cobblestone streets for a tasty gelato and perhaps a visit to the town’s fascinating archaeological museum. In pre-Roman and Roman times, Adria was an important trade center and a river harbor town along a navigable branch of the Po. Amber was one of the most precious stone that was imported from the Baltics and traded here in exchange of local food like oil and wine. The museum has a remarkable collection of pottery and jewelry dating back to the Greek, Etruscan, Roman and Celtic times. A guided tour can be booked in advance, by reservation, by contacting VBT. Dinner is served on the boat tonight. Early this morning, cruise out of Adria along the Canal Bianco. After breakfast, disembark for a rewarding reel along a bike path to the bicycle-friendly city of Ferrara, recognized as a UNESCO World Heritage Site for its intense beauty and cultural significance. Bikes are so prominent to this historic culture that large swathes of the city are closed to cars. Enjoy lunch on your own at one of the charming cafes and try local culinary specialties. There are several temptations, like cappellacci di zucca, or dumplings filled with pumpkin, or salama da sugo, a pork sausage cooked for hours in red wine and spices. Don’t miss the tipical bread ‘coppia ferrarese’. Later, join a local guide for a walk through the Jewish quarter and medieval district, learning about the powerful House of Este, which ruled the region from the city’s imposing castle and Ducal palace and transformed Ferrara into one of Italy’s most splendid Renaissance treasures. Enjoy some free time to stroll the narrow alleyways and maybe visit one of the many superb palaces. Or maybe take a walk along the high city walls, the longest in Italy, before shuttling to tiny Zelo, where your boat awaits. 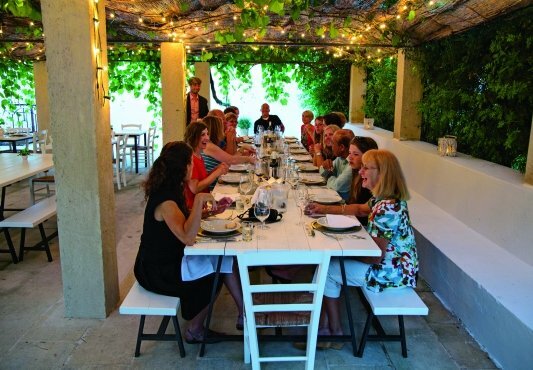 With about 300 inhabitants, a picturesque arched bridge, and a quaint church, the small hamlet of Zelo is your setting for your onboard dinner. After, you may stroll to the local pub, said to pour the best craft beers in the area! Dinner is on board tonight. Ride easy country roads this morning to Bergantino. 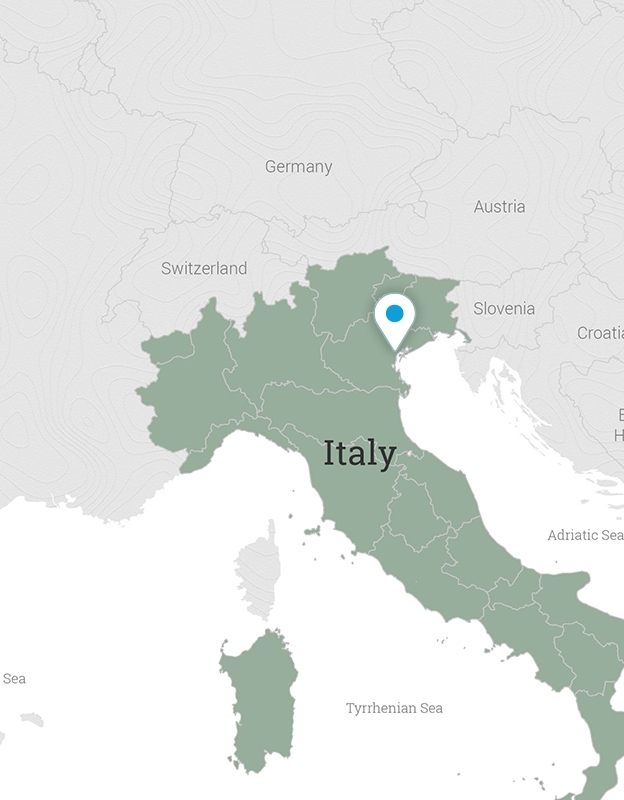 In this small provincial town, stop at a cheese factory to learn how Grana Padano is made. You are invited to sample this delicious local cheese, a rival in fame and flavor of Parmigiano Reggiano. Later, stop at the delightful Street Carousel Museum in the town’s Strozzi Palace, where perfectly working carousel models from the late 19th century are preserved. A local expert leads you through this magical and nostalgic world, pausing so you can admire wooden horses, musical calliopes, billboards and more objects from the fairgrounds and merry-go-rounds of yore, from medieval times into the 19th century. After, enjoy a picnic lunch in a picturesque setting on the Po river, in the shade of tall poplar trees. Back on your bike, ride toward Governolo, where you meet your boat and set off on a scenic stretch along the tranquil Mincio River. Its waters lead you into the city of Mantua, one of the greenest and most beautiful Renaissance towns in Italy and the European Capital of Gastronomy in 2017. We arrive well before dinner, so there’ll be time to disembark and stroll the warrens of the Old Town, a UNESCO World Heritage Site. You have many restaurants to choose from for dinner on your own tonight. After breakfast, enjoy a loop ride outside Mantua. A trio of lakes, or laghi, and vast nature reserves surround the city on three sides. As you cycle along their shores, you will skirt the sylvan stretches of Bosco Fontana, the largest enclosed forest in the Po Valley. In August and early September, lotus flowers blossom in the Lago Superiore: The plant was imported from the East in the early 19th century and now thrives here. As you ride, you may spot more flowers like white and yellow water lilies. Indigenous plants like the edible water chestnut and lush reeds are still used to make hand-made brooms and chairs. You return to the city center by lunch time. Cafes in Mantua’s narrow alleyways are sure to tempt you into a delicious post-ride meal. Be sure to sample the city’s famed torta sbrisolona, a streusel-like almond cake, for a crunchy dessert. After lunch, join a local expert for a walking tour of Mantua, an outstanding Renaissance city of battlements, towers, churches, cupolas, and elegant squares. 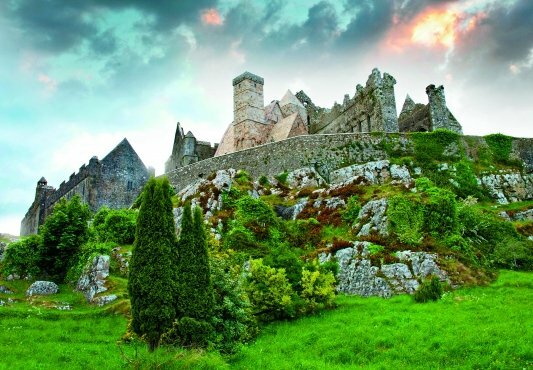 The city prospered during the 16th century under the Gonzagas family, patrons of the arts and the new ideas that were revolutionizing the way Europe viewed the world. Visit portions of the Ducal palace with its magnificent courtyards, the Castle of St. George, and the incredible Camera degli Sposi, the “painted chamber,” richly adorned with frescoes painted by Andrea Mantegna during the decade between 1465 and 1474. Later, celebrate your week with your fellow travelers and new friends during a festive farewell dinner on board your boat. VBT Air Package guests and Post-Trip Extension guests: After breakfast, say goodbye to your boat crew and Trip Leaders, then transfer 40 minutes to your Verona hotel. When you arrive, our local Verona guide will meet you and host an informative introduction, followed by an orientation tour of Verona. The rest of the day is free to explore on your own with VBT’s City Information as your guide. Early this morning*, transfer to the Verona Airport for your departing flight. Please ensure you are ready in the hotel reception area at the designated transfer time**. VBT Bicycle Vacation only guests: You are responsible for making your own way to our boat, arriving no earlier than 4:00 p.m. Please note that you cannot embark before this time, as the boat is being prepared for your arrival. If you are delayed, you don’t have to worry because the boat will stay the night in Venice. It will be moored on Giudecca Island, by “Consorzio Cantieristica Minore.” (Address: Fondamenta S. Giacomo 212/C.) To get there, take the vaporetto and stop at Redentore. Several ACTV lines stop there; you can check the best line when you buy your ticket. At the vaporetto stop Redentore, walk along the Fondamenta San Giacomo’s right bank (approximately 700 feet) until you reach the “Consorzio Cantieristica Minore Veneziana” marked by a blue sign on a gate. Walk straight through the gate onto the dock, until you arrive at boat parking. Find your way to the pier where the boat is moored. The gate is open every day from 7:00 to 1:00 a.m. Please refer to the information listed in your final itinerary for your boat contact and telephone number. VBT-Bicycle-Vacation-only guests: After breakfast, say goodbye to your boat crew and Trip Leaders as your tour comes to a close. It is important that you leave the boat no later than 9:00 a.m. You are welcome to share a 40-minute transfer to our Verona hotel, located in the center of Verona, where your vacation ends. The Ave Maria, sailing under the Italian flag, was totally rebuilt in 2011 to meet our guests requests. Only the hull of the original 1070s sand digger remains. Designed by a renowned Italian architectural firm, its shape, materials, and color palettes create a warm and sophisticated atmosphere. 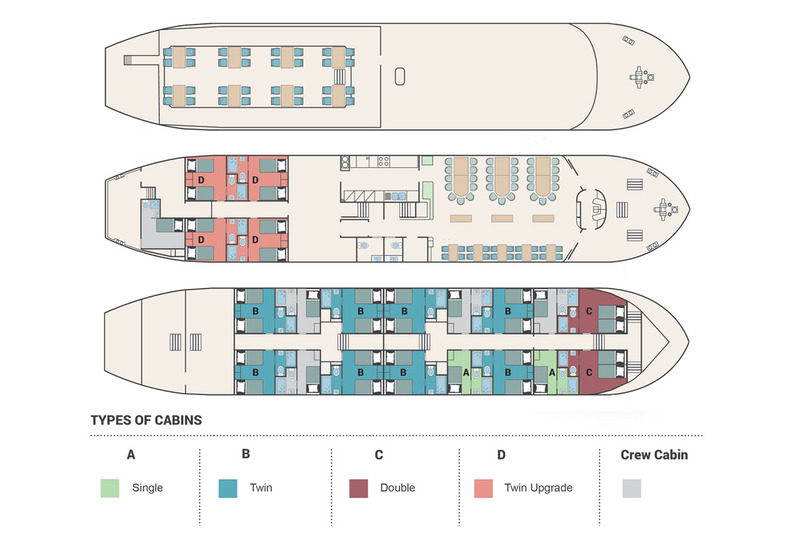 The two-deck motor passenger ship features 17 twin-bedded cabins, each with private bathroom and shower. All cabins have a large window; those on the upper deck can be opened. Hair dryers are available on request. The boat has climate control throughout. The restaurant and lounge provide large windows for viewing the passing scenery. Two computers are available for use. Two sundecks are on board; the large wooden sundeck is covered and has chairs and tables. Smoking is permitted only outside on the sundeck. The boat moors each night. Drinks of all types are available for purchase at the bar on board. It is not customary for guests to bring their own drinks or to use the bar facilities of the boat. Your understanding is appreciated. Onboard meal menus are set, though the chef is happy to accommodate vegetarians and those on restricted diets for health reasons. Please note regarding Wi-Fi onboard the boat: Internet access is available during the day only in the common areas, not in the rooms, and is quite stable. If stable Internet access is critical to you also at night, VBT recommends that you purchase your own bundle before traveling overseas. Upgraded Double – Main Deck (Mid Level) – The bright and spacious cabins (118 square feet) have two large portholes (one is partially openable), comfortable modular beds, and en-suite facilities. Upgraded cabin options available from $245 per person, based on double occupancy. Standard Double – Deck A (Lower Level) – The large (118 square feet), sunny cabins have three large windows, comfortable modular beds, and en-suite facilities. Standard Single – Deck A (Lower Level) – The sunny cabins (80 square feet) have one large window, a comfortable modular single bed, and en-suite facilities. The modern Hotel Giberti is located in the center of Verona, a half mile (0.8 km) from the Arena and Piazza Brà. This excellent location makes it easy to explore the city on foot, yet is far enough from the tourist path to offer an authentic view of daily life in Verona. The hotel features a classic and elegant décor, very spacious new bedrooms, and bathrooms designed with Rosa Portugal marble. You’ll also enjoy a warm welcome from the smiling and efficient staff. Occupying a residence that once belonged to a prominent Venetian family, the Hotel Ruzzini Palace was built during the late 16th and early 17th centuries. It is listed in the Architectural Heritage Register of Venice for its historic and artistic value. The hotel overlooks Campo Santa Maria Formosa on one side and Rio del Paradiso on the other; still today, it maintains a water entrance, which was once the main entry. The building has been lovingly refurbished to capture original design and detailing. Admire the large portego (the lounge that stretches along the side wing), the exposed beams, and Venetian-style floors. The pride of the Ruzzini Palace are its priceless paintings by Gregorio Lazzarini (1655-1730), teacher of Giambattista Tiepolo, in the Royal Suite. These lush frescoes depict mythological scenes such as “Junos Chariot” and “Zephyr and Flora,” commissioned to the artist by Carlo Ruzzini, the 113th Doge of Venice. Arrive at the airport in Venice, Italy. Once in the arrival terminal, you will be met by a VBT representative holding a VBT sign. She will be located just outside of customs and will assist you with your transfer by water taxi to the hotel. From the airport pier, you’ll transfer (approximately 35 minutes) with our transfer company, Venezia Taxi, to your centrally located hotel in Venice. At the hotel, our local expert will be available from 6:00 to 8:00 p.m. to answer your questions and give a short orientation walk. The rest of the day is free to discover Venice and dine on your own with the VBT City Information as your guide. Today, explore Venice to your heart’s delight. Perhaps take a vaporetto, or water taxi, to visit some of its islands. Built on 118 islands in a shallow lagoon, Venice is a city like no other. It comprises more than 150 canals and 400 bridges, which are delightful to explore by gondola or water taxi. Much of the city can also be seen on foot. Be sure to visit the Grand Canal and the famous Rialto Bridge. St. Mark’s Basilica, watching over St. Mark’s Square in the grandest of styles, is one of the best examples of Byzantine architecture in Europe. Other spots not to miss include the Gallerie dell’Accademia and the island of Burano and Torcello. Your centrally located hotel will make it easy to access it all. Please note: Italian museums are closed on Mondays. Continue your exploration of Venice. Set out early in the morning to take in the picturesque atmosphere of St. Mark’s Square before the crowds arrive. Napoleon called this scenic spot “the drawing room of Europe.” Step into the Doge’s Palace to learn about the lives of Venetian Republic nobility. While here, see its elegant chambers and perhaps cross over the Bridge of Sighs to the prison house. The bridge was so named for the sighs that emanated from prisoners’ mouths as they caught their last glimpse of freedom. For a different glimpse of Venetian culture, stop by the Peggy Guggenheim Collection on the Grand Canal, a repository of modern art in Ms. Guggenheim’s former home. Spend another day discovering Verona. Explore the remarkable Old Town, where “Juliet’s balcony” commemorates Shakespeare’s Romeo and Juliet, set in this romantic town. Peruse the art galleries at the Palazzo della Ragione and the Castelvecchio fortress. You may also take a 40-minute train ride to Padua, a world-renowned art city and one of Italy’s undiscovered gems. The centerpiece here is undoubtedly the Scrovegni Chapel, a 14th-century masterpiece reminiscent of the Sistine Chapel for its fresco-covered walls painted by famed painter Giotto. The city center is pure pleasure to stroll, an inviting series of arcaded streets and large and generous piazzas. Continue your exploration of Verona and its surrounding areas. If you enjoy soaking in natural hot springs, you might plan a spa day in the nearby villages of Montegrotto or Abano. Journey to Lake Garda, only 30 minutes away, Italy’s largest lake and a scenic and cultural treasure. Or take an hour train ride to Bologna, Europe’s second largest Old Town and home of medieval, Renaissance and baroque monuments. During your visit, be sure to explore the flavors and aromas of the new FICO Eataly World, the largest agri-food park in the world. Early this morning*, transfer to the Verona Airport for your departing flight**. Please ensure you are ready in the hotel reception area at the designated transfer time.